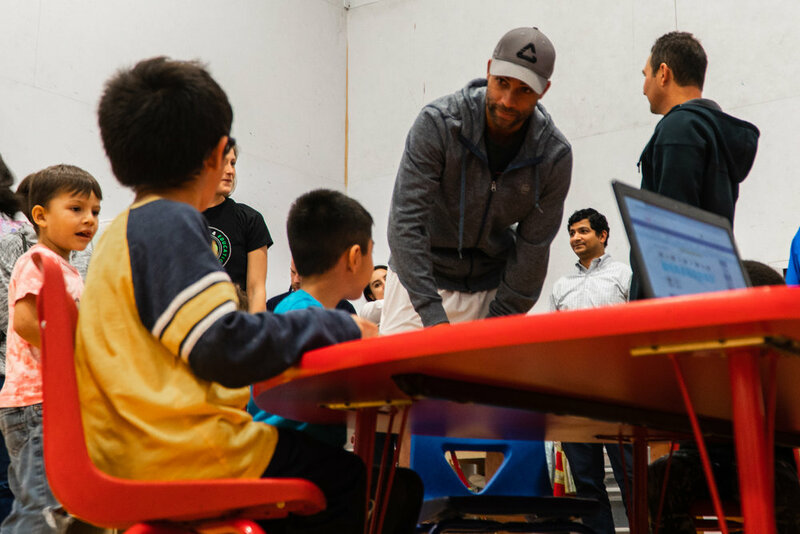 Our Scholar Athletes had the privilege of meeting the US Tennis Legend James Blake when he visited PT&E on Friday, November 2nd! James met with our Scholar Athletes, played tennis with PT&E donors, answered questions and shared his incredible success story. It was a wonderful opportunity for our Scholar Athletes! 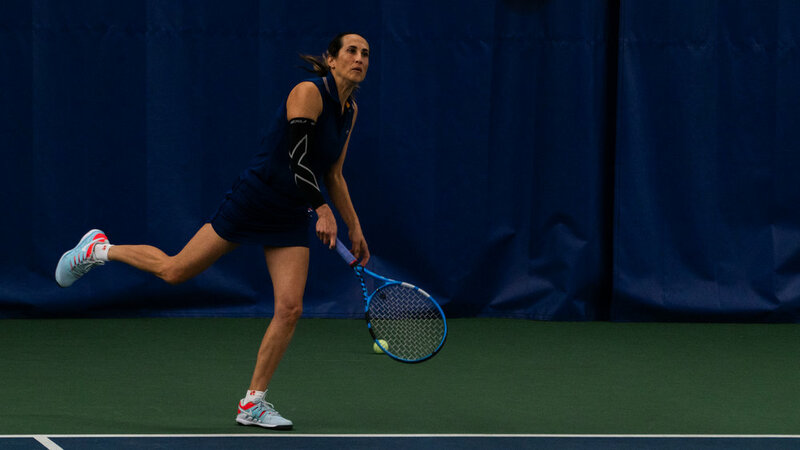 Thank you to the donors at the 3rd Annual Gala who made a generous donation to help fund James Blake’s visit to PT&E. 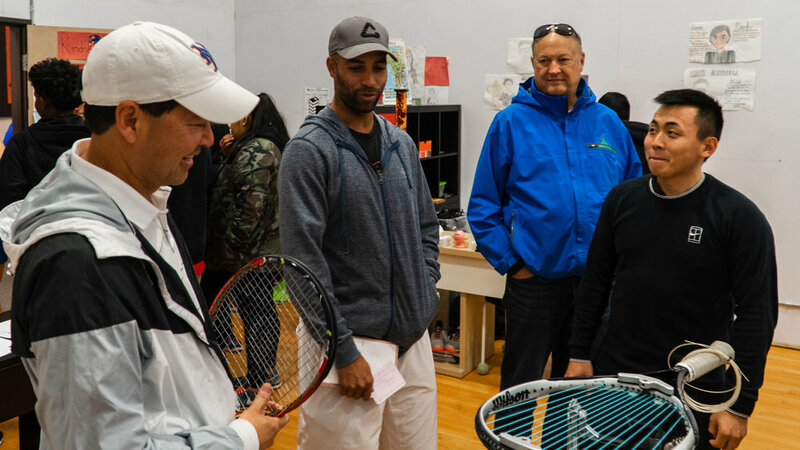 The donors had the chance to meet James Blake and play doubles with him and our Scholar Athletes were thrilled to watch a former pro play. 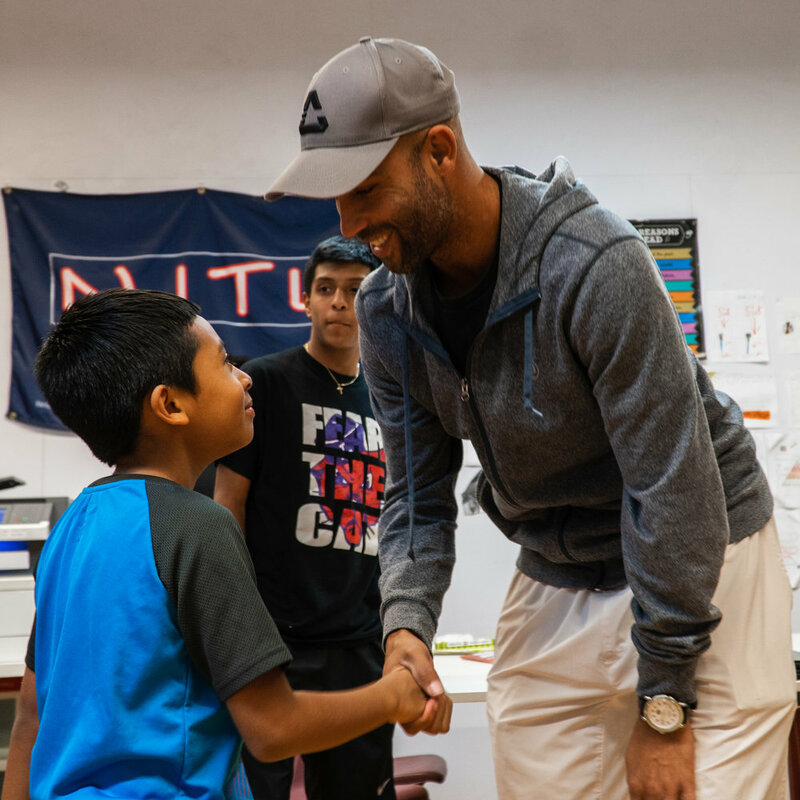 After playing tennis James answered questions from our Scholar Athletes and shared how hard work, positivity and perseverance led him to where he is today. Following the Q&A session our Scholar Athletes had the chance to show off their skills on the court playing with and against James. It was truly an honor to meet James. Thank you James and to everyone who made this inspiring day possible! Newer PostNike Visits PT&E and They Brought Books!